Under the initiative of KRIPA, a paralympic committee was formed in Ernakulam district to support paralympic sports & games in the district. Fr. Mathew Kiriyanthan CMI is the President and Dr. J. Prasant Palakkappillil is the General Secretary of the District Paralympic Committee. Dr. Mary Venus Joseph is the Vice Preisent, Sri. C.M. Yoshit – treasurer, and Prof. N.R. Menon & Mr. Joby Mathew are the Joint Secretaries. Other Members are Fr. Charles Koroth, Mr. M.P. Antoni, & Mr. raju. In total nine members are there in the Committee. 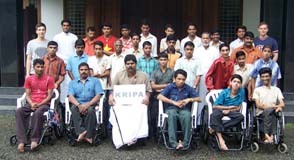 KRIPA conducted District & State Level Paralympic Championship for the year 2011. 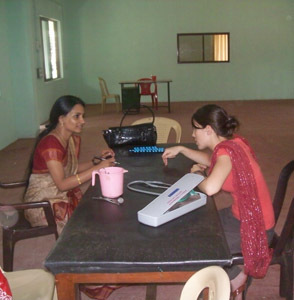 It was the first programme of the Paralympic Committee formed in the year 2011 under the leadership of KRIPA. It was a mega event in which children and youth from various parts of Kerala participated with much enthusiasm. The Championship was held on 1st, 2nd and 3rd April 2011 in association with Rajagiri College of Social Sciences, Sahrudaya Services & Charities, Rajagiri OutREACH, etc. 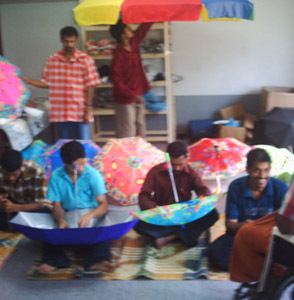 In total, 450 persons with disabilities participated in various events. In State Level Championship, it was inaugurated by Shri. K.C. Yohannan, Arjuna Award Winner and Ernakulam district team attained the overall trophy.